Mr. Bun! You do look quite Disapproving there! 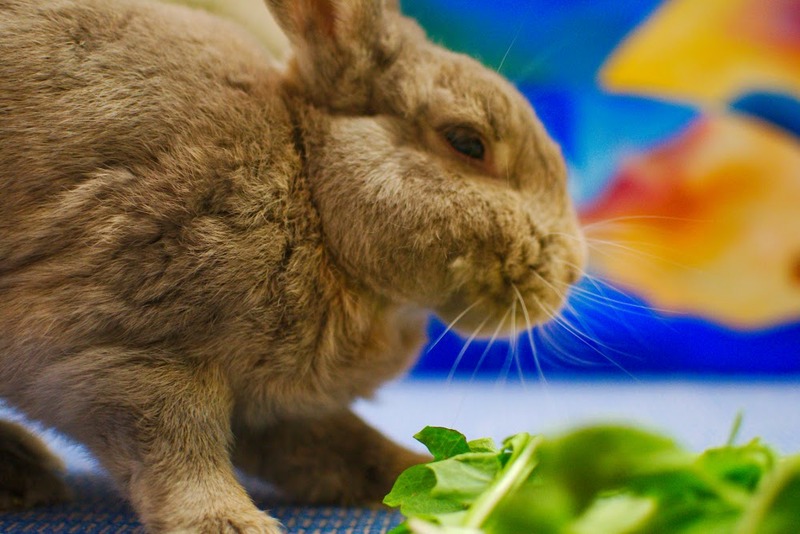 But I find it hard to believe that your hoomin has not been keeping up with his BunChores, because I know that he is a very good, kind hoomin. Maybe if he brought you some more yummeh noms, you might feel a bit better? Also, I see one of your hoomin's paintings in the background. I quite like it; do you Disapprove Of it? It sounds like you do. Well at least he is painting bunnies and not hoomins! I Approve Of that, at least! However, I know that you are a Rabbit of High Standards, so it is very possible that my puny, feeble hoomin brain cannot comprehend why you are Disapproving! Have a nice Sunday Bunday, Mr. Bun! Oh, Mr. Bun, you have the coolest digs in town. That's a fantastic painting. 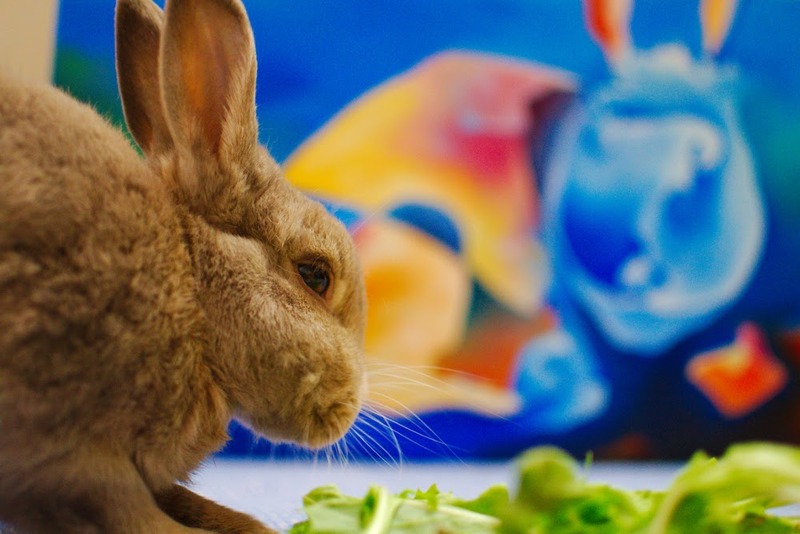 What other bunny is surrounded by great art work. Well, yes there is the bunny and friends by Titian, but that bunny is in the artwork. With conditions like that, I think Mr. Bunn is bluffing about busting out! RG, I think it is past time for you to watch what you say to Mr. Bun. You are already on record for a comment about how he CAN be bribed. It is one thing not to SUTTRs, it is another to deny their finer qualities. I can sure get in a lot of bunny trouble in just 3 seconds!